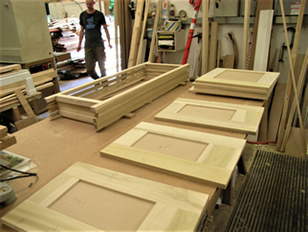 My career started at the age of sixteen with an apprenticeship at Frederick Donnelly, who were bespoke furniture makers in London. With my passion for craftsmanship realised I enrolled at the Hammersmith College of Art and Building. At the end of my first year I was nominated their best student and then went on the following year to win a top award from the London Apprentice Board. 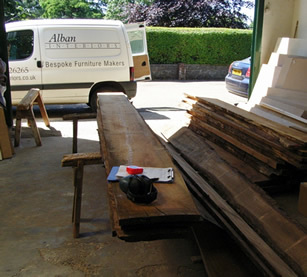 Some 30 odd years ago I made the decision to start Alban Interiors with the aim of creating beautiful pieces of hand crafted furniture. 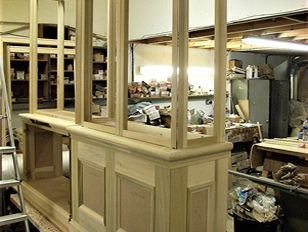 Alban Interiors is a family run business and, with my eldest son Daniel working alongside me, I feel that we have one of the most talented teams this craft has to offer. 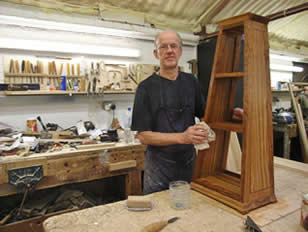 Having a well-equipped workshop, our relatively small set up is no reflection on the size of commissions we undertake. One project that we under took was to convert a large garage complex into a very smart gymnasium and yoga studio, which had very detailed painted wall panelling, circular doors and walnut panelled locker rooms. Our excellent reputation is based on knowledge, experience, attention to detail and a fine sense of the aesthetic. 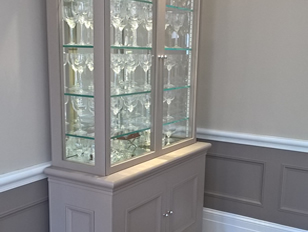 Please view our portfolio of past projects including bespoke cabinets, bookcases, bedroom furniture, wall panelling, study furniture, media cabinets and much more.